It is necessary for a serious business to launch their own website for marketing purpose. Plenty of graphic designers and marketing professionals are available throughout kerala especially in Kochi. From business card to attractive billboards are available here. But for designing of professional website, there is no adequate web designing team! While searching for a good web developer, almost every business man will fall into the net of low cost web solutions. But the site they get from such cheap web designers will be a shame black on the face of their current business. Does such website attract more business is a serious question. When choosing a good web designing firm, we need to take a cautious approach. Because in Kochi, there are so many newbies in the field of web site designing. Actually their designs will be poor quality products. They sell websites and even hosting spaces as they sell the toys to babies. You can search for a good web hosting company and may satisfied by the low cost web hosting solutions without a downtime. But never can find a professional web designer at low cost budget. I mean cheap hosting is not equivalent to cheap home page designing. First of all ask the designers for their previous works. Check the sites they given to you. Compare all available webdesigners portfolio. Choose three better team from them. Then think about reducing website designing cost. After getting satisfied quote, go on with the project. Thats all. Before assigning a web development project, ensure the time taken for completing the entire project. If they fail to finish the same within the agreed time, you must have an option to get a compensation from them. In kochi, some web designing companies uphold the customers’ taste and visualise their desire in exact web page layout. BharathNet.com is one of the best web hosting company in Kerala. 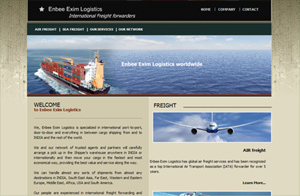 They also has a team of well qualified web designing experience. Their costs are moderately economical, but without any compromise on the quality of the web projects. 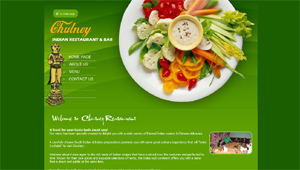 Visit bharathnet.com for your webdesigning needs. Author (Asker Hassan) is the senior web developer in BharathNet Web Solutions. Call him at 9387280643 for a good designing quote.